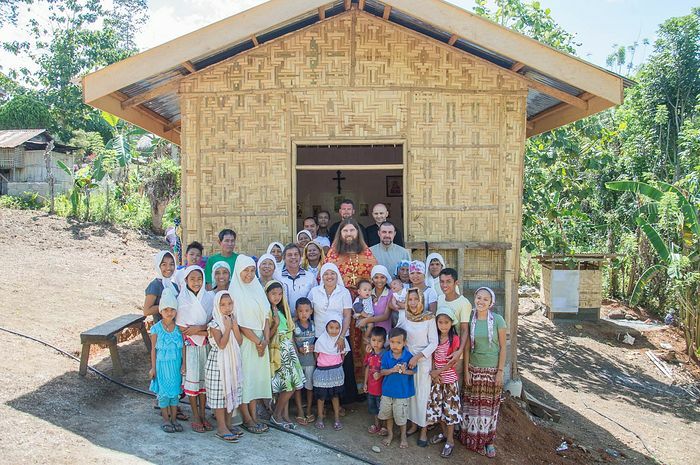 The zeal of Filipino Orthodox was seen at Pascha this year, as the community of St. Vincent of Lerins on the island of Mindanao celebrated the bright Resurrection of Christ in a church they had built with their own hands in just three weeks. The holy Paschal services were celebrated in the community by the cleric of the Petrozavodsk and Karelia Diocese Fr. 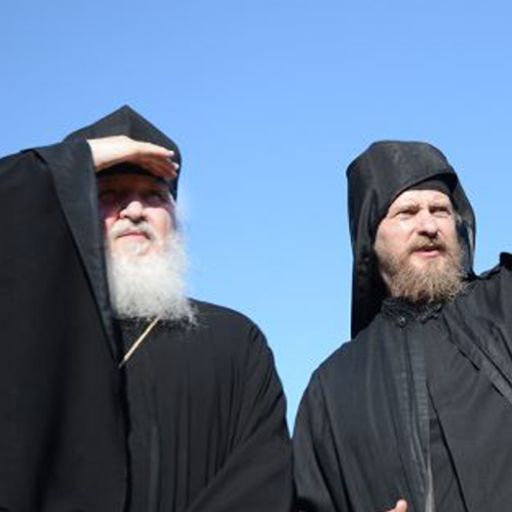 Stanislav Rasputin in the village of Salasan with the blessing of Archbishop Sergius of Solnechnogorsk, the administrator of the Moscow Patriarchate parishes in Eastern and Southeastern Asia. Fr. 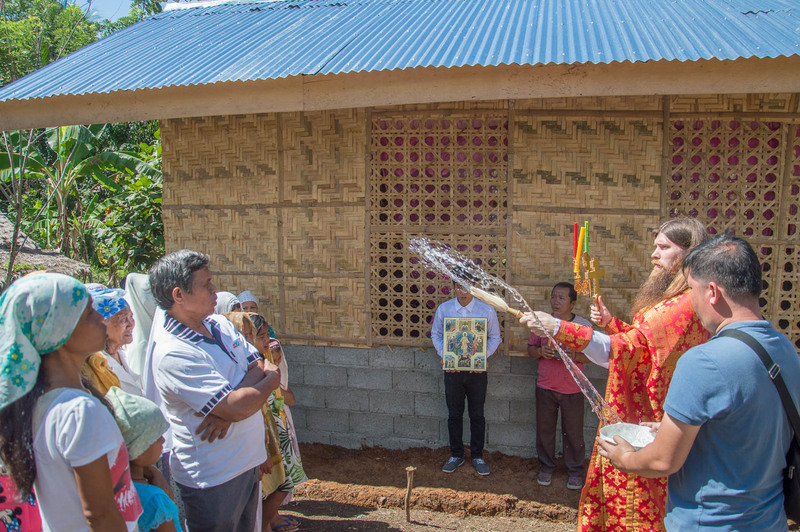 Stanislav has been to the Philippines several times before, including in September 2015 when he helped to celebrate the mass Baptism of 187 former independent Catholics. Fr. 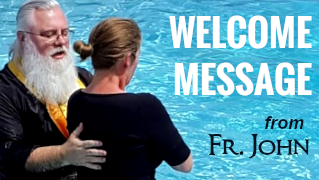 George Maximovbaptized another 19 new Orthodox Christians in July of last year. 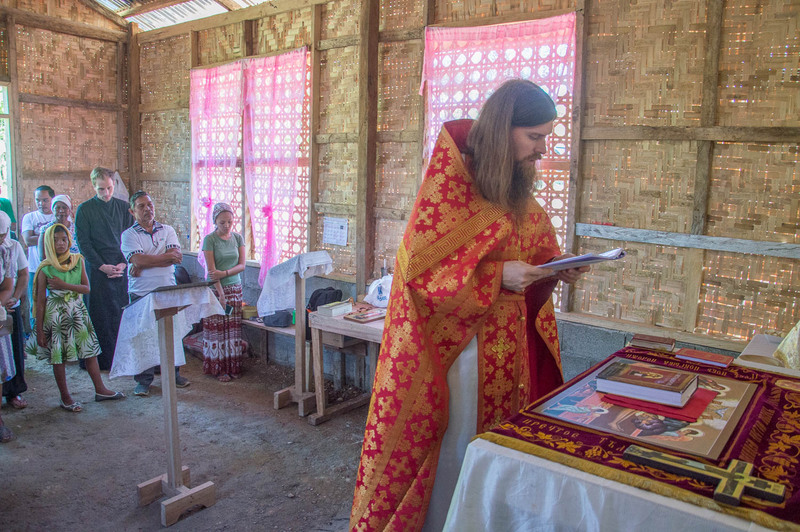 The Divine Liturgy was celebrated in Church Slavonic, English, and Cebuano, an Austronesian regional language spoken by about 21 million people in the Philippines. In preparation for the holy Resurrection of Christ, parishioners of the community of St. Vincent erected a church in just three weeks, around which they were able to make the traditional Paschal procession. 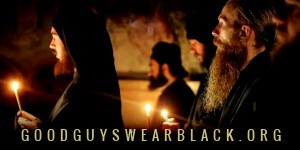 After the Liturgy, Fr. Stanislav distributed Paschal gifts from Abp. Sergius, congratulating all the parishioners with the Feast of Feasts. A choir from Ukraine gave a small concert, after which the parishioners and guests were treated to a festive meal. 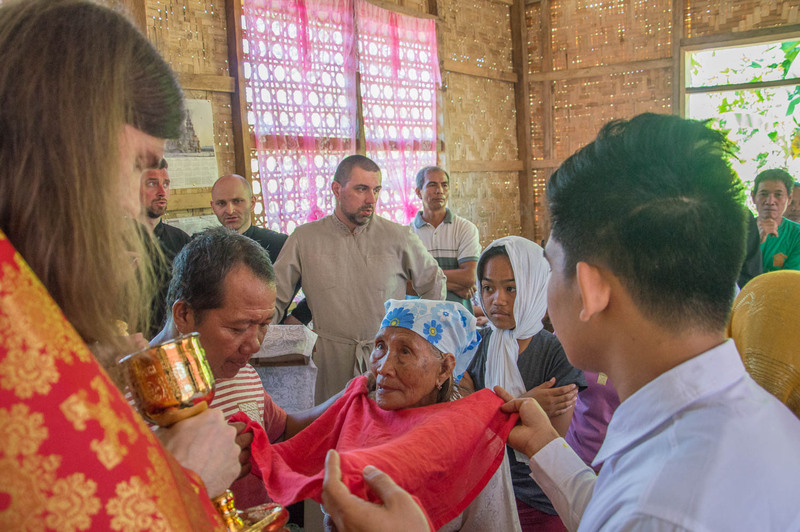 By the initiative of a group of priests, from 2015 a number of Christian communities on the island of Mindanao, created in the beginning of the 20th century, began to move into the jurisdiction of the Moscow Patriarchate. In 2015-2016, work was carried out on catechizing the Filipinos receiving Orthodoxy, services were celebrated by clergy of the Russian Orthodox Church, new churches were built, and liturgical and spiritual texts were translated into the local Cebuano language. For example, a special app “300 Sayings of the Saints of the Orthodox Church” was recently developed in the Cebuano language. 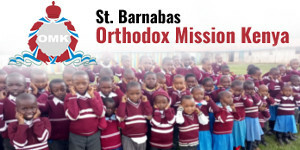 In the absence of constant pastoral care by Orthodox priests, missionaries trained community elders to celebrate reader’s services. Abp. 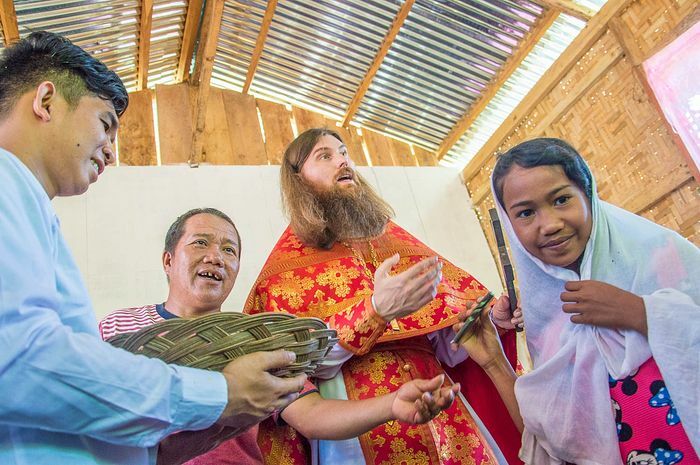 Sergius was appointed to administer the parishes of Eastern and Southeastern Asia, including the Philippines, on October 21, 2016. Fulfilling the will of the hierarchy, Abp. Sergius has made efforts to revive the Iveron parish in Manila which had been active since 1934, for which the Filipino Minister of Foreign Affairs pledged his support, and to send a permanent cleric to the Filipino capital, as well as to organize pastoral care for Orthodox compatriots living in the Philippines, and those from the local communities who have converted to Orthodoxy. An administrative and spiritual-educational center for the coordination of pastoral care of the members of the communities of the Moscow Patriarchate, catechesis of Filipinos who have decided to accept the Orthodox faith and for preparing candidates for teaching in theological schools of the Russian Orthodox Church is currently being created in the city of Davao on the island of Mindanao. packages be received there? Is there a mailing address for this mission? Please let me know. Mary, you’ll have to try and contact them directly. We do not have their contact information. I learned something new about St. Vincent of Lerins tonight as I had to go back and read about him. I was surprised that an Orthodox Church named their church after St. Vincent of Lerins. 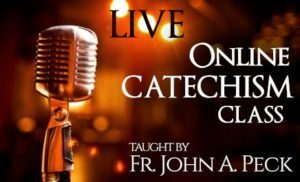 I had always seen Roman Catholics make much use of his name and teachings. I had always taken him to be a Western or Roman Catholic. 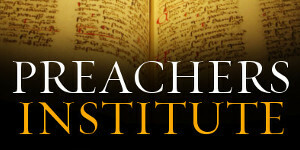 I know there are times when one can get confused between St. Vincent of Lerins and St. Vincent Ferrer (and others.) However, I had seen many Catholics Refer to St. Vincent Learns with so much regularity, I just took it for granted he came from the Latin Tradition. I had no idea he was an eastern Monk or the controversy surrounding him in regards to semipelagiansihm.